Miha Preinfalk gained a MA degree with the thesis Gospodje Turjaški v srednjem veku [The Lords of Auersperg in the Middle Ages] in 2001. In 2004 he defended his doctoral thesis Genealoška in socialna podoba rodbine Auersperg v srednjem in novem veku [Genealogical and social image of the House of Auersperg in the Middle Ages and early modern age]. His research focuses on the genealogic and social aspects of medieval and early modern nobility in the Habsburg Empire as well as the auxiliary historical sciences - heraldry and diplomatics. since 2006 supplementary employment at Faculty of Humanities Koper, University of Primorska. The primary field of his research is the nobility in Slovenian territory and in the former Austro-Hungarian Monarchy, a subject largely disregarded and even disparaged in the past. 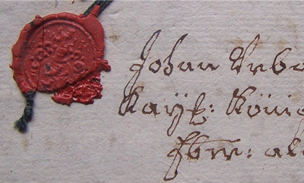 He has established contacts with numerous members of the former nobility who allow him access to their private family archives (the Auerspergs, the Lichtenbergs, the Herbersteins, the Thurns, etc.) and thus render his research possible, with this kind of archival materials being inaccessible to the general public. The second field of his interest are so-called auxiliary historical sciences, such as genealogy, heraldry and diplomatic. Within this sphere he prepares editions of medieval charters and modern times documents. He regularly makes his research in Slovenian and foreign archives (especially in Vienna, Graz and Klagenfurt), which are the only source of new information, especially in the field of older history.